Nice angle to zoom in on all the nooks and crannies of the underside of the Station, to see what all was there in '64. I see one of those orange playbills stuck on the Monorail track column. We've seen those before, but I forget what it was. An ad for the Nerveless Nocks? For some reason, I never picture the station in the correct orientation until I look at a map. I just noticed the Uniroyal tire and T&T moon dome lower center. 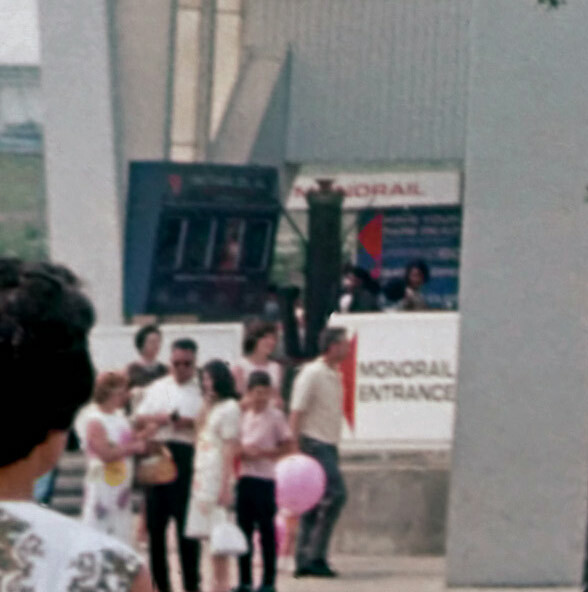 Bill on the far left (just to the left of the escalator), is that the ticket booth? Don't think I've ever seen a closeup of that. I believe you are correct about the Nerveless Nocks poster. Hmmm.... perhaps it wasn't a ticket counter, but some kind of exhibit. 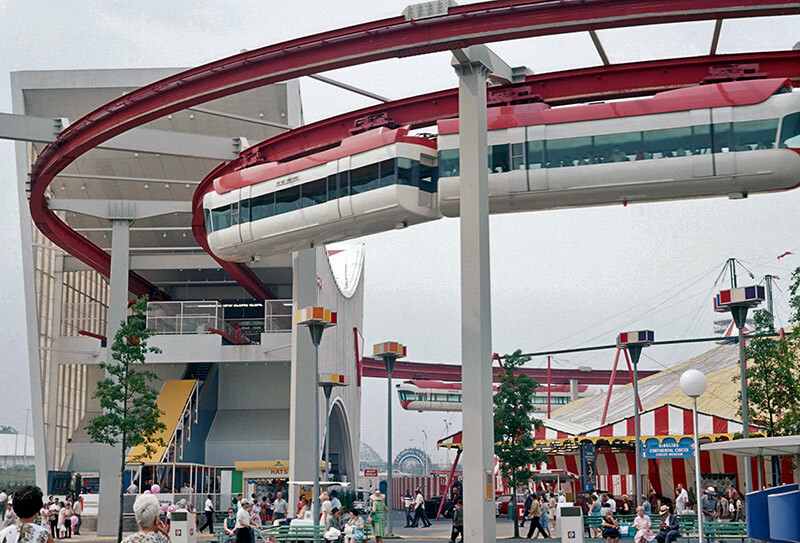 And who is the 'guest of the day' mounted on the signboard on the side of that one monorail? Sorry, all I can get is "??? ??? ??? Express". Just enough of an angle and distance to be unreadable.